VIDEO: Tamar Braxton and Kandi Burruss Get Into HUGE Fight on ‘Celebrity Big Brother’ Live Feeds! Season 2 of Celebrity Big Brother is off to a smashing start with Tamar Braxton and Kandi Burruss sparking their shady feud! 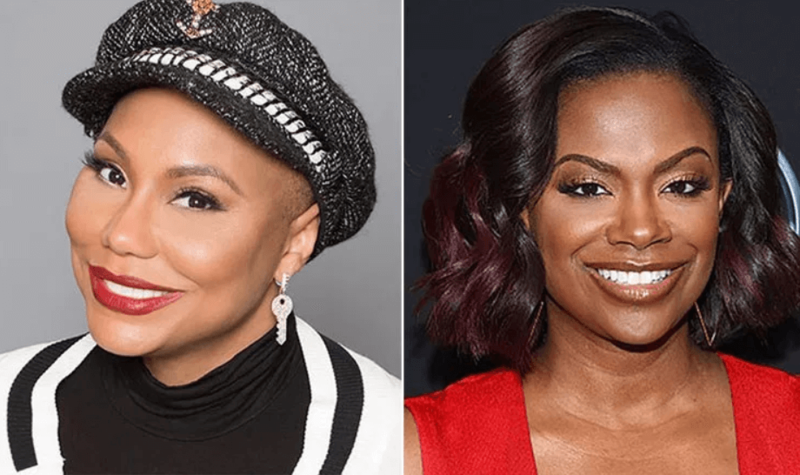 If you’re unaware, the two R&B divas have never been close, despite sharing mutual friends — and an incident last year during a joint music tour sealed the deal. The video below lays out the back story of their beef. Initially, both ladies put their differences aside and formed an alliance in the early days of the game but that all changed during Wednesday night’s airing of the CBS reality show. Porsha Williams Speaks Out On Her Rumored Violent Fight At Todd Tucker’s Birthday Party! In the episode,Tamar Braxton and Kandi Burruss look to bury the hatchet by getting into the reasons for their feud. But things go wrong — HORRIBLY wrong! Kandi tells a fellow Celebrity Big Brother castmate that she feels exhausted going to events in Atlanta. Tamar turned Kandi’s comments into an argument over the definition of “relevancy” — specifically, who is “relevant” in the Atlanta celeb scene. Watch below. Tamar explodes on Kandi to prove her point but Kandi diffuses the situation by trying to change the subject and eventually leaving the room. But knowing Kandi like we do, it’s only a matter of time before she unleashes on Tamar. Katie Maloney Plays Victim After Fans DRAG Her For Demanding James Kennedy Be Fired! Celebrity Big Brother is a group of celebrities will live together in the Big Brother house that is outfitted with 94 HD cameras and 113 microphones, recording their every move 24 hours a day. Celebrity Big Brother Season 2 airs on CBS at 8:00 p.m. EST — check your local listings for days. Tamar Braxton Wins ‘Celebrity Big Brother’ and Makes History!